“Several Durham police officers lied about non-existent 911 calls to try to convince residents to allow them to search their homes, a tactic several lawyers say is illegal. The officers targeted residences where individuals with outstanding warrants were thought to be living, and told them that dispatch had received a 911 call from that address, when no such call had been made. However, Durham Police Chief Jose Lopez says the 911 tactic was never a part of official policy. Last month, the department officially banned the practice, according to a memo from Lopez. In February, Officer A.B. Beck knocked on the door of the defendant’s home in South-Central Durham. When the defendant answered the door, Beck told her—falsely—that someone in her home had called 911 and hung up, and that he wanted to make sure everyone was safe. The defendant permitted Beck to enter her home, where he discovered two marijuana blunts and a marijuana grinder. When Beck took the witness stand, he admitted to fabricating the 911 story in order to enter the house. Beck testified that his true intent was to serve a warrant, though he never produced the warrant in the courtroom. Beck further testified that the 911 ruse was permitted under a department policy in cases where domestic violence is alleged, recalled Morgan Canady, the defendant’s lawyer. During cross-examination, Canady quizzed Beck further. Did you say there was a 911 hang-up? she asked. But there was not a 911 hang-up? So you entered the house based on a lie? And this is your policy for domestic violence warrants? At that point Canady made a motion to suppress the marijuana evidence. Since the defendant’s consent was based on false premises, Canady reasoned, the consent was not informed and voluntary. 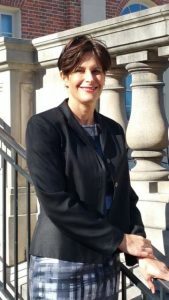 Marcia Morey, chief district judge for Durham County, allowed the motion to suppress the evidence. “You cannot enter someone’s house based on a lie,” Morey said from the bench during the hearing. Without the evidence, the district attorney’s office dropped the charges. Ten days after the case was dropped, Chief Lopez sent a memo to all police department personnel banned the 911 ruse tactic. The department provided a copy of the memo to the INDY. If you want to get answers and information about any of our services, or simply want to know more about Lynn Norton-Ramirez, get in touch now.